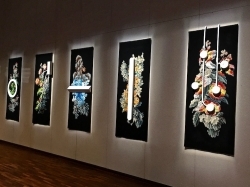 If we consider this exhibition as a means to check the pulse of contemporary tapestry, a gauge to the health and vitality of the practice, I am fairly confident that we would declare good health. 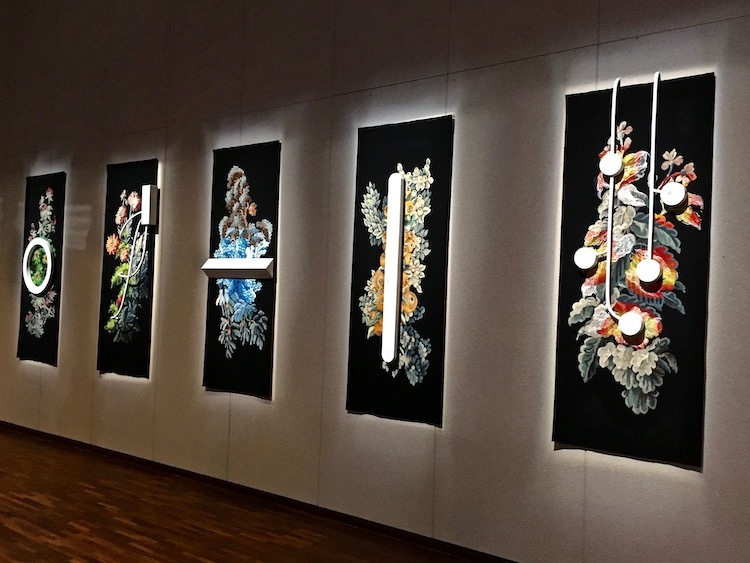 We might disagree about the work that is the most vital and exciting, influenced by our own biases and interests, but as a general impression I think we would see the identity of tapestry as strong, emanating a healthy glow. But is it really so? Are we looking at tapestry with the caring and devoted eyes of a supportive family? Has tapestry become too discreet a process? And are we being critical, poking and probing to insure good health in the future? 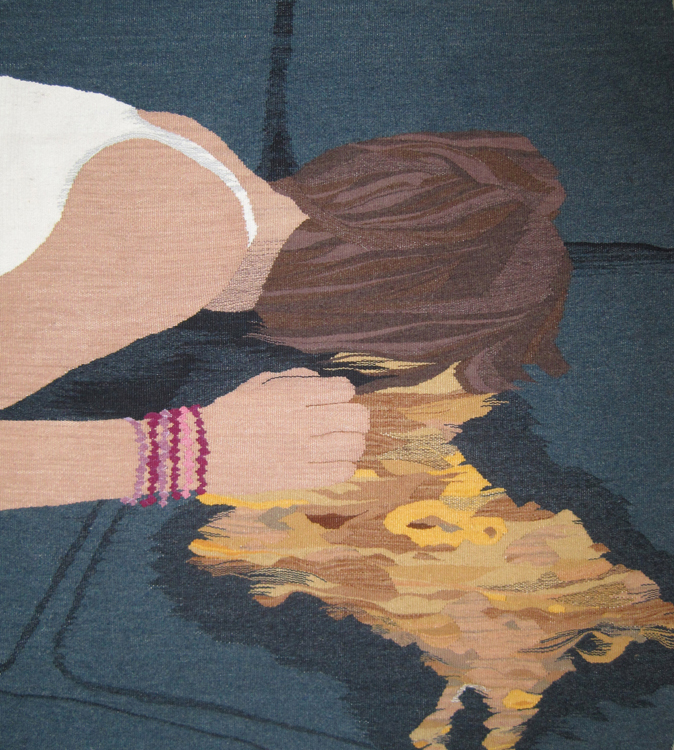 It is here that I must let go of my 25-year commitment to tapestry as a viable process and expressive media – I need to think past my own pleasure in being included in this exhibition and joy at having my work acknowledged by this particular jury. As an educator, I am forced to look at textile and tapestry practice from the outside in, from the point of view of a student and the broader art community. I must consider the pragmatic and pedagogical demands of an educational institution. I need to ask myself some serious questions. 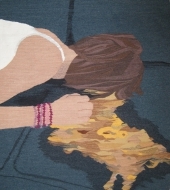 Is the process of tapestry making healthy? 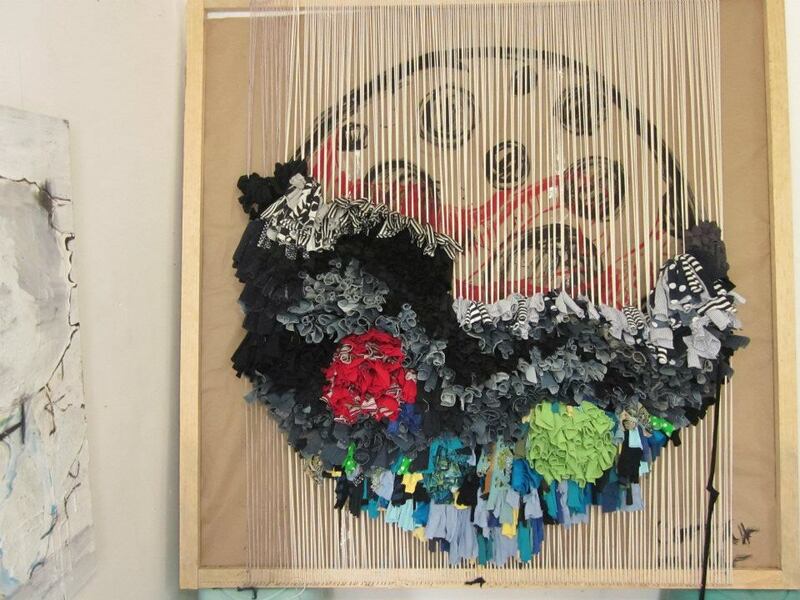 Is it a viable and appealing means of expression for a younger generation of artists interested in textile approaches? 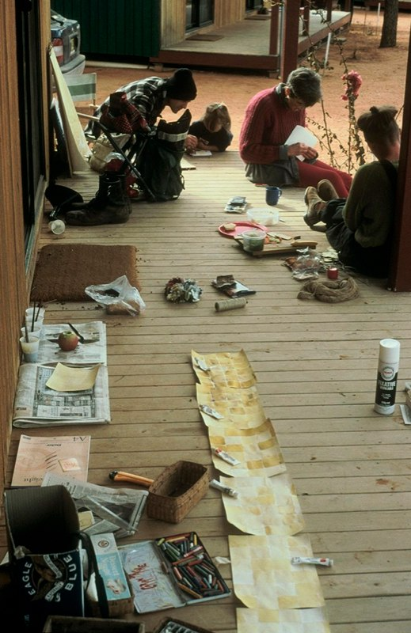 Does tapestry have a presence in the developing critical language of craft and textile theory? Will there be an ATB 10? What will it look like? 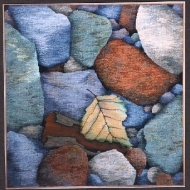 Will the presence of an identity unique to tapestry be deconstructed and subsumed? Will that identity be threatened by non-traditional materials, by mixed media constructions and digital technologies or perhaps by diminished evidence of traditional skill and process? 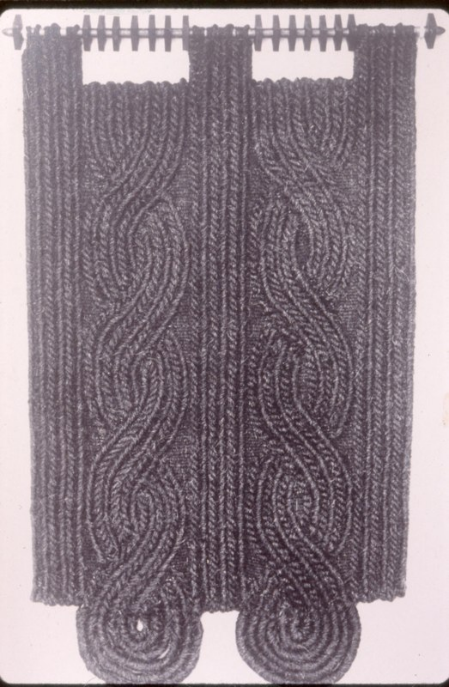 In contemporary art, textile identity, along with conceptual and visual evidence of labour and careful construction, is often conveyed outside of traditional or even recognizable processes. Within the Tapestry milieu we might recognize and appreciate differences, but how apparent is this in a broader context? And how will it influence the appreciation and value of tapestry in the future? We might concur that Tapestry is currently a vital art form. The works in this exhibition attest to this fact. The artists involved in ATB 4 have invested considerable time into this discipline; they offer work that is mature and considered, skillful and insightful. It builds on tradition but embraces contemporary concerns and viewpoints. I am confident about the present but what about the future? How do we ensure that tapestry making will continue and those new makers will participate fully in these traditions and histories and propel them into the future? I believe the continued health of tapestry and the assurance that there will be an ATB 10 depends on drawing intelligent, insightful and knowledgeable young people to the field. After my participation in Convergence in Vancouver last summer, I was concerned by the lack of younger people involved in the conference, and articles and letters to the editor in FiberArts and other magazines showed that others concurred with this observation. There may be a number of reasons for this: Convergence is an expensive conference and I know a number of my students complained that they just could not afford to go. But one also has to look at the possibility that interest may be waning. I have to look to my own institution to put this in some perspective. I have taught in the Textile/Fibre program at the Alberta College of Art and Design in Calgary, Alberta for 20 years. During this time I have observed many changes in the perceptions of textile practice by students as well as colleagues. In the last three years the enrollment in the fibre program has more than doubled from levels of 10 years ago, but enrollment in the tapestry course we offer once a year has decreased dramatically. The students that are entering our program tend to be interested in the more interdisciplinary approach to textiles.